You are here: Home / Recipes / Corn Pudding Recipe! 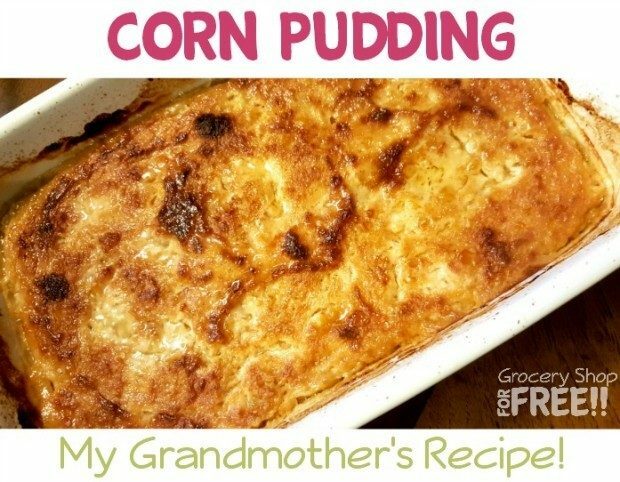 Corn Pudding is a very special recipe in our family. So special that I only make it at Thanksgiving and Christmas. 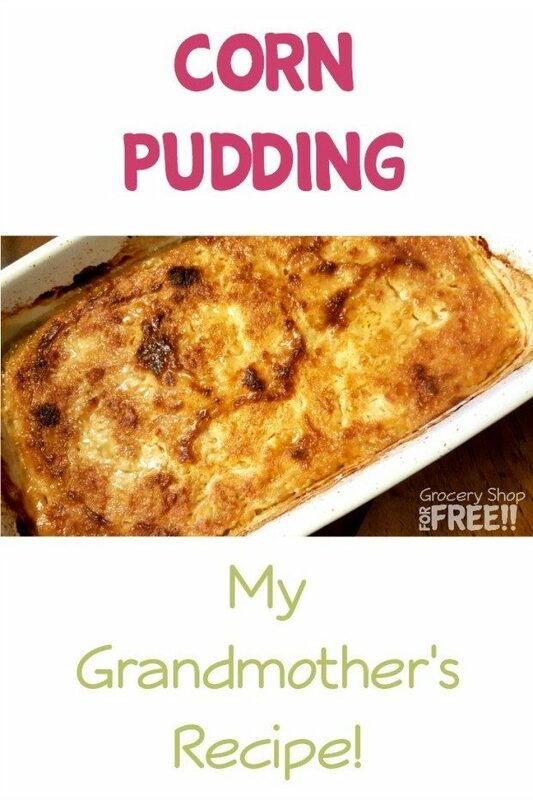 My kids love it, it’s my Grandmother’s recipe and I grew up loving it and only having it a couple of times a year myself. There are as many variations of it as they are people making it, it seems. But, this is the tried and true recipe handed down in our family for it. I hope you try it and enjoy it as much as we do! Mix eggs, creamed corn, sugar, evaporated milk together. Place “dots” (my Grandmother’s instructions) of butter on top. Bake for 45 – an hour (or so) until well set (firm but moist). It’s very simple to make and if your family loves corn, this is sure to become a favorite! This recipe will serve a family of 4, so, I make a much larger batch for holidays and cook it longer. You’ll know it’s ready when you place a toothpick in it and it comes out mostly clean.